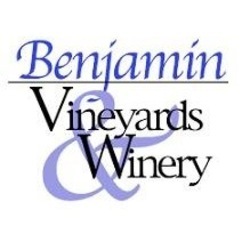 Benjamin Vineyards & Winery is a family owned and operated farm winery located in the Haw River Valley AVA in Piedmont North Carolina. Situated just outside the picturesque town of Saxapahaw along the Haw River, the sandy loam soil of the vineyard is ideal for growing Muscadine grapes--including Scuppernong, the nation's first cultivated wine grape--as well as viniferous French wine grapes and French-American hybrid wine grapes. Come visit the winery where the wines are barrel-fermented and receive individualized attention from the vine to the bottle.